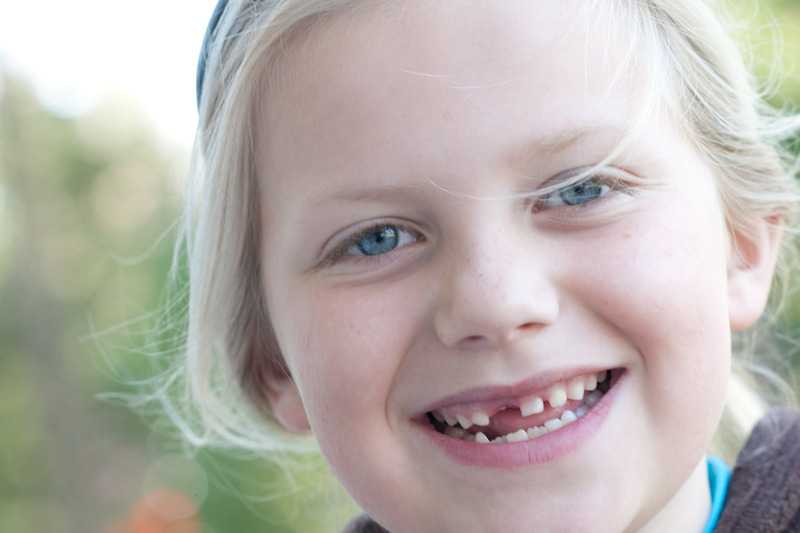 pulling front teeth | Mother of the Year... AGAIN! 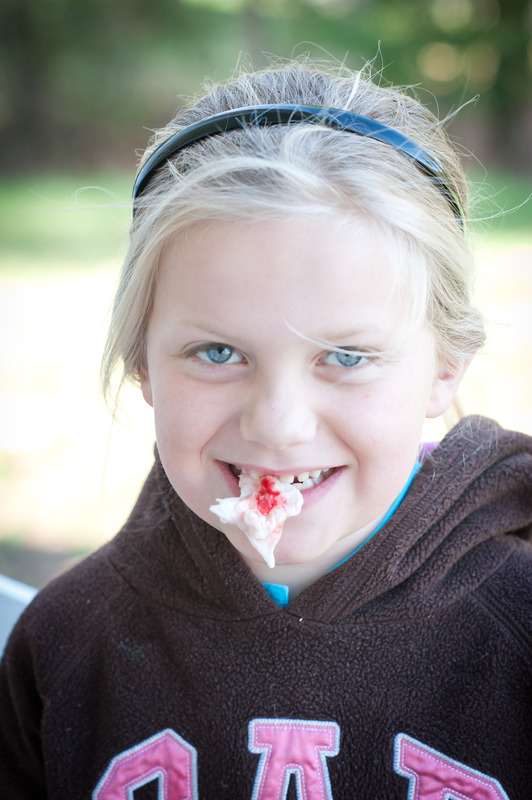 Almost out – pulling Reilly’s tooth. Reilly is eight going on nine and just lost his third tooth; his first top tooth. I think he’s one of the last of his friends to have the big gap that allows you to pass food through, stick your tongue through – all that fun stuff. He has an underbite so they have been watching him for a few months since they want to correct it now versus later. He has got this awesome strong jaw like Shad and the bottom of his face is maturing fast. Above his bottom lip is growing much more slowly and still has some of his little baby features (including his teeth). Thursday night is often date night. We have a sitter, I play soccer on my men’s over 40 team and Shad rides his bike around the Dome sneaking a peek at me on each lap. (okay, probably not – he’s probably making sure at 24mph that no one hits him and he doesn’t hit anyone else – but a girl can dream, can’t she?) So last Thursday we did our usual and then went with the team to the “third half”. Shad, uncharacteristically had a few beers with the boys and got chatting and got lost in the moment I suppose. When we left he wheeled his bike out to the truck and I said “Do you want me to drive?” and was immediately met with an emphatic “YES”. I can count the number of times in our relationship that Shad has said that – twice now. We just don’t drink often so when we do a drink or two is plenty. Since beer is not my thing tonight was his night. I drove home, it was about 11:15pm when we got home. We walked in to find Reilly sitting at the kitchen table across from the Caroline, the sitter. He was twisting and pulling on his tooth but just couldn’t break it free. Caroline was watching him intently but I think he told her to <grin> and as Shad and I went over to him I think we all were brought right back to that particular time in our lives. 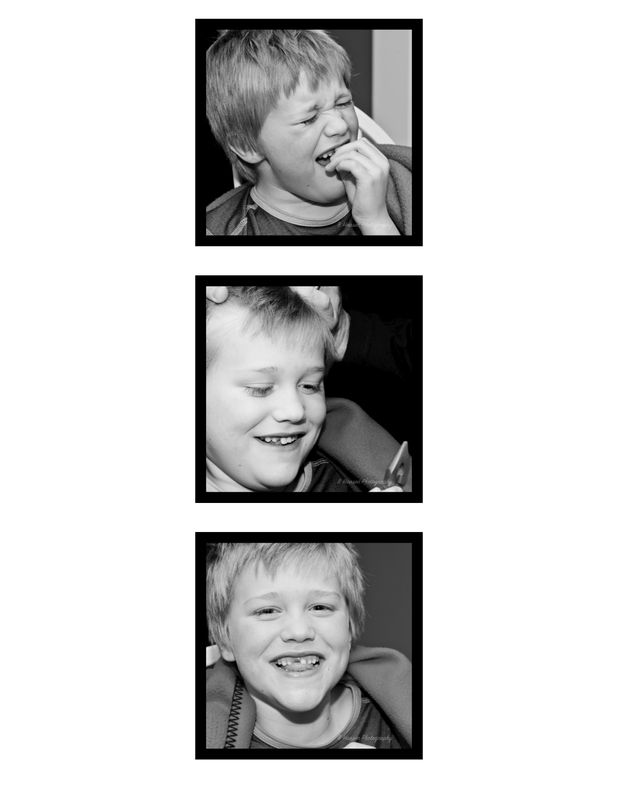 Each of us felt something different but we were all wincing and running our tongues over our teeth unknowingly as we watched Reilly put his tongue under it, he was twisting the tooth around, flipping it up and down…. bleck, gives me the willies just recalling it. Caroline left and Shad and I watched him for a few more minutes. I then took the law into my own hands and told Shad to go get needlenose pliers. He reluctantly did. When he brought them in I shared with the two of them “that’s what my Dad used because it allowed him to grip the tooth more easily, you’ll be fine”. Shad glanced at me like “but I had beer… you do this” and my “c’mon… it’s fine, don’t be a wimp” glance back (I could NOT have done it but was not going to share that sense just then) got him to put his hand across Reilly’s forehead and with his other hand he reached his bike tool pliers in Reilly’s mouth and gripped the tooth. Before Reilly could even flinch Shad’s hand was out of Reilly’s mouth with pliers holding an itty bitty white tooth. It was so small and so ready to come out we could see the second tooth AND it didn’t even bleed. Shad marveled at his pliers and like the Princess Bride with his sword – he carefully put them back in their holder and put them away for the next time he needed them.